Update: This training is now available as a public course, starting October 8th in London. Would you like to learn how Behaviour-Driven Development can help your company get better at software development? I’ve helped several teams learn BDD, and I’ve started to formalise the training I’ve been doing into a set of course modules. 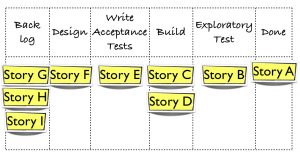 The modules aim to provide the foundations for a teamʼs successful adoption of BDD. We start by immersing the whole team in BDD for a day to get everyone enthusiastic about the process. Then I take the programmers and testers and implement their very first scenario, end-to-end, on their own code. Now that we’ve proved it can be done, I work with project managers, product owners, and development leads, to streamline their agile process to get the best from BDD. We practice collaborative scenario-writing sessions, we learn how to use metrics to track progress, and how Kanban and BDD can fit into your existing agile process. Please take a look at the course prospectus and get in touch to see how I can help. It’s funny, you’d think, from reading about planning poker that the purpose of this exercise is to come up with accurate estimates. I think that’s missing the point. The estimates are a useful by-product, if your organisation values such things, but actually the most important benefit you get from planning poker is the conversation. As part of the exercise, you explore the story as a team, and uncover any misunderstandings about the scope and depth of the work to be done to satisfy the story. The result of this exploration is a shared understanding of what the story means. There are other ways to have this same conversation. My favoured practice is to hold a specification workshop where the team explores the scenarios that a user could encounter when using this new functionality. These scenarios are a much more useful product, to me, than an estimate. They give me a starting point for writing my automated acceptance tests, and they also give us all a concrete reference point as to the scope of the story. If my organisation needs estimates to be happy, we can count the number of scenarios to give a realistic feel for the relative size of the story. If the only metric you use for measuring and forecasting your team’s progress is their iteration velocity, you’re missing out on a great deal of richer information that, for just a few extra minutes per day, you could easily be collecting. This is information that the team can use during the iteration to help spot and fix problems that are holding them back. Here we can see the team’s velocity appears to be slowing down. 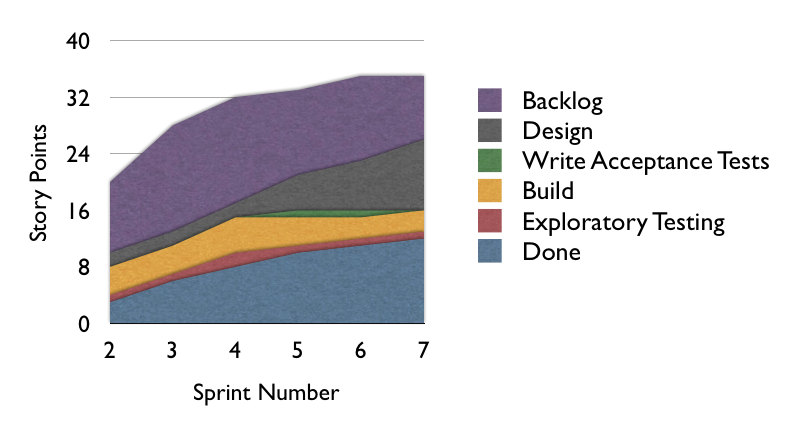 They might still release at the end of Sprint #9, but there’s a chance, if the flattening trend in their velocity continues to worsen, that they may never finish the project at all. We have enough information here to know that something may be wrong. We can use this information to warn stakeholders that our release date may be at risk of slipping, and may also start looking though the backlog of stories for things we can drop. The problem with these responses is that they’re purely reactive. Assuming there is a systemic cause at the root of this slow-down, we’re not doing anything to deal with it and get the team back on track. 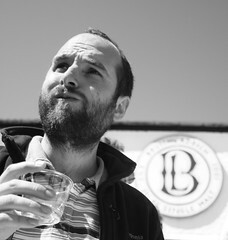 We can go and ask the team what they think might be wrong, and try to help them correct any problems they can identify. This can often work, but sometimes the team may not have the experience or perspective to be able to see what’s going wrong. Another problem is that we’ve had to wait until the end of the iteration to get this information. For an organisation that’s used to going into the darkness of 9-month waterfall projects, getting iteration velocity figures once a fortnight can see pretty decent. An awful lot can happen inside an iteration though, and having that summed up by a single number loses a lot of important detail. Like the signal on an old short-wave radio, this is low-fidelity data. 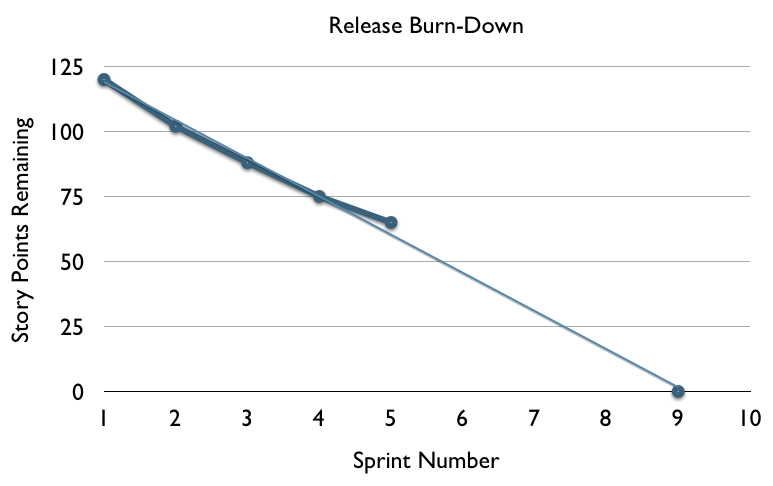 One crucial piece of data that’s hidden within the burn-down chart is what I call the rate of discovery. The whole point of agile development is that it’s iterative: we build and ship something, get some feedback, learn from that, build and ship some more, and repeat until our stakeholders are happy with it. 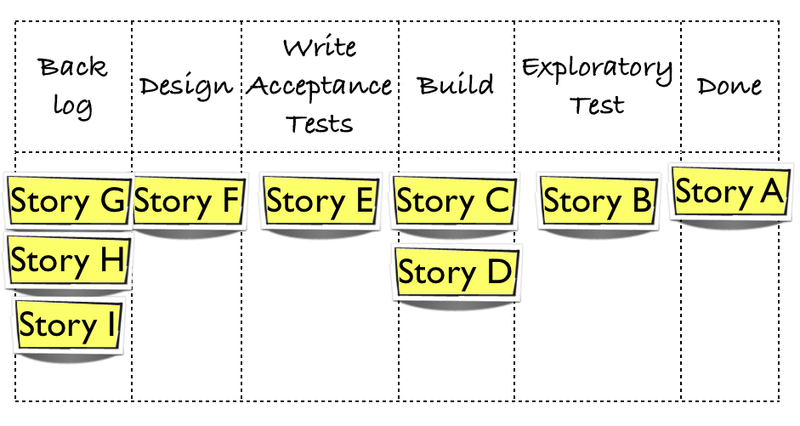 If we’re doing iterative (as opposed to repetitive) development, we’re going to discover new user stories as we go through the project, perhaps even as we go through the iteration. This is a good thing: it means we’re listening to our customers. We need to make sure our project plans can handle this as a matter of course. 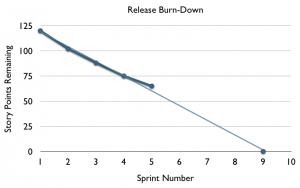 Going back to our release burn-down, we want to separate the rate of discovery from the rate of delivery. 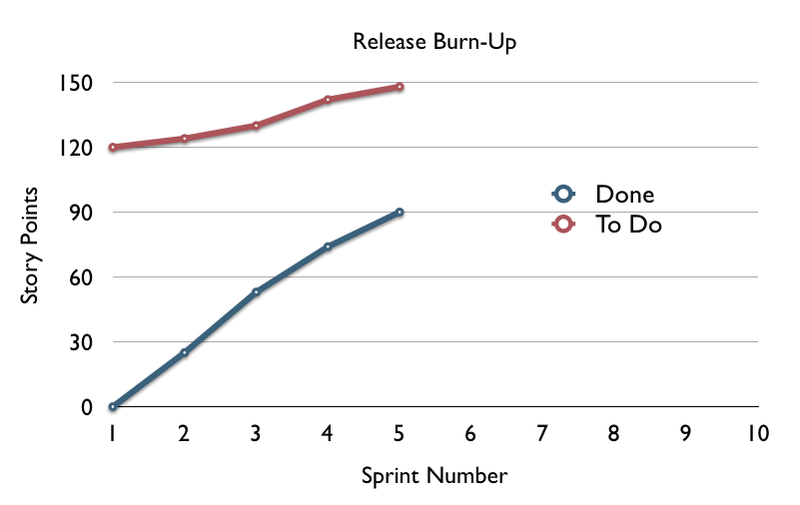 A great way to do this is simply to flip the vertical axis of the chart, and use a Release Burn-Up instead. On here we can start tracking two lines instead of one. First we draw the number of completed stories (or story points), and then stacked on top of that, we draw the number of stories still to do. That includes any story not yet done – whether it’s in the backlog or being worked on in the next iteration. I love these charts – they seem to easily map to people’s understanding of the project. When you explain that the area underneath the bottom line represents all the features that have been done, it’s easy for anyone involved with the project to quickly understand what it means. In the case of the chart above, we can identify that while the team are delivering at a pretty steady rate, they’re discovering features at a steady rate too. They’ll probably need to de-scope if they want to meet their release date. This chart has another name, Cumulative Flow Diagram (CFD). We call it this because as stories flow from ‘not done’ to ‘done’ across the task board, we’re drawing the accumulation of that flow on the diagram. There are lots of things we can gleam from this diagram. 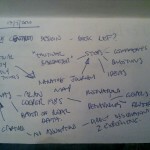 If we look at the example above, we can see that work is stacking up in the design stage of our process. 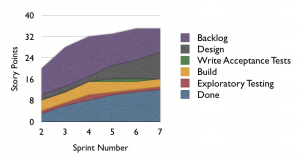 Because our CFD chart highlights this, we can put more directed effort into relieving the bottleneck on the designers, perhaps by adding an extra analyst to the team to run ahead and do some more detailed analysis of the upcoming stories in the backlog, or by helping the designers to break the existing stories up into smaller ones that are easier to understand. You can wait until the end of the iteration to count these numbers, but why stay ignorant? If you collect this data every day, you’ll get quick feedback about where bottlenecks are appearing in your team, and be able to try small tweaks to correct them. 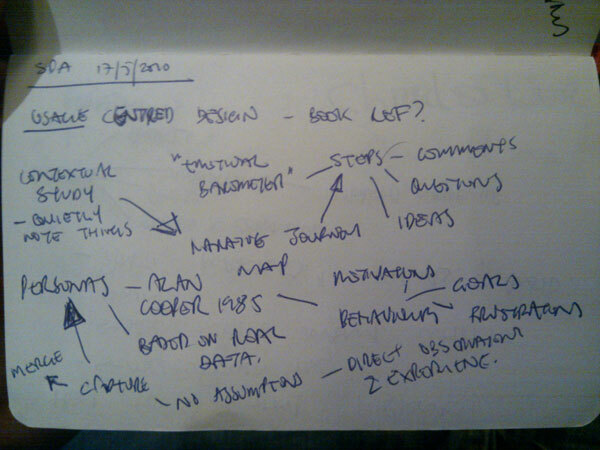 Duncan Prefers the term Usage-Centred Design to User-Centric Design. There was a book reference here but I missed it. Narrative Journey Maps (NJM) are a way to model and visualise the steps a user has to follow as they try to achieve a goal. An Emotional Barometer is draw across the top which highlights pain-points where the user may be particularly frustrated with the process. NJMs are usually created from a Contextual Study where users are quietly observed trying to reach the goal. They are a way to record the current state of play, and a place to start thinking about how things could change. It seemed that what had worked for the presenters was to focus on just one persona at a time, when it became obvious who their core user was, and work at satisfying their needs. Once they’d started to make significant inroads into this, it became clearer and more worthwhile to look for other personas. Keith Braithwaite was heading out to ‘Next Generation Testing’ and said he was really looking forward to it. He said it was quite easy to stand out from the crowd of big vendors, and that if you have something original to say you’ll likely be asked back. He also mentioned ‘Test Expo’ as being another conference in this vein. 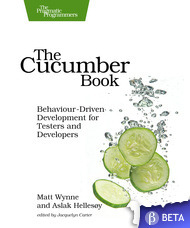 Really interesting it taking the Cucumber message to these conferences. I met several people who are making use of or would like to make use of this more. Many of them were using Ubuntu so don’t have access to iChat, and were struggling with slow VNC connections. I suggested screen + emacs/vim to a few people (not that I’ve used it myself, but I’ve heard good things). People mentioned plug-ins for eclipse, and my old favourite SubEthaEdit came up. It does feel like there’s product missing here. Some guys did a BoF trying out a crazy contraption they had using a smalltalk environment that allowed a dozen people all edit the same code at the same time, on their own workstations. It sounded pretty amazing. The (accidental) downtime gave people an opportunity to make build scripts and so on. I wonder whether this could be engineered deliberately another time. More logging and visibility of exactly what’s going on when a player runs would be useful to help participants with debugging. The warm-up should include calling a robot with a command-line argument so that any teething problems with reading the input can be resolved at a relaxed pace. A better explanation (role play?) of how the tournament works would help. when people realised they could write scripts to add several robots, this really slowed down the time to run a round due to the number of permutations of matches. I guess here you could deal with this by using a league system, but for now the simplest thing seems to be to just limit the number of players. there is a strategy (which the winning team used) where you use a patsy player which can recognise a game against another player from the same team and throw the game, thus giving that player an advantage. By releasing several patsy players you leverage that advantage. I was surprised (and a bit disappointed) at how conservative most of the language choices were. I think we had 3 Ruby robots, 2 Java ones and one Haskell robot. Sadly I couldn’t get smalltalk working for the guy who wanted to use that. It seemed clear that rather than one language being particularly better than another for the problem at hand, teams who used a language they were familiar with did best. It was hard for people to see what was going on when they were getting their robots running. More visibility how exactly what it looks like when their program is run on the server environment would be helpful. Also more functionality on the UI to slice the results and look at just how your own robot had performed. 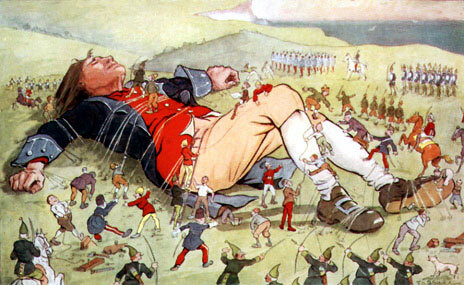 The problem was so small that tests were hardly needed. Pivoting, changing the rules of the game half-way through the tournament might have helped here. I would also be interested in trying out variable-length iterations – some long ones, some short ones. 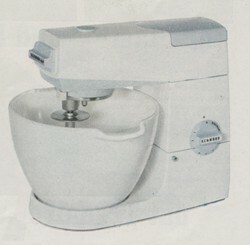 Shipping simple solutions early was definitely a strategy that had worked for everyone. People enjoyed the fact that the goal – getting points – was clear, so that rather than it being about writing clean code or writing tests, it was more realistic to a business context. Did I mention that I like pair programming? Here are some reasons why it’s good for you and your boss. The higher the truck number of your team, the more resilient it is to losing people. Pair programming spreads knowledge of the code around the whole team meaning each team member has a much more broad knowledge of the system than on a traditional team. Every time I pair with someone, I learn at least one new trick, be it a keyboard shortcut for my editor, a new command-prompt command, or a language idiom. This training costs nothing and builds the confidence of even the most junior team members who always have something to contribute, to say nothing of how much they will learn from sessions with their more senior colleagues. Working together in pairs breaks down barriers between people much more quickly than when they are working alone, and provides a natural environment for teams to learn to trust one another, and enjoy one another’s company. These are vital attributes that will get your team though the tough times, ensuring they can pull together when necessary. Experienced programmers know that coding is much more a process of design than of mere implementation. When subjective design decisions are taken by at least two people on the team, those decisions have much more authority and are more likely to be understood and accepted by the rest of the team than if they had been taken alone. When one member of the pair has a good idea for a solution to a problem, this may stimulate an even better one from their pair. Science says so. The perpetual code review that’s done during a pairing session not only produces better designs, but it also catches a lot more defects as they are written. Pairs will tend to write more thorough automated tests, and are more likely to spot holes in logic that would otherwise have to be picked up by subsequent manual testing. Generally, programming in pairs makes for more a more relaxed and enjoyable atmosphere in a team. People become comfortable with their own strengths and weaknesses and are able to talk and joke about their work much more readily, since they are already used to that dialogue. This is obviously terrific for morale and staff retention. Pair programmers do not check their emails when they’re waiting for a script to run, disappear into their inbox for 20 minutes, then come back and have to remind themselves what on earth they were doing. When they hit a little break-point, they review what they’ve done so far and make a plan for their next steps. They stay focussed. Twitter can wait. I’ll be running a preview of my Agile 2009 workshop ‘Debugging Pair Programming’ at Skills Matter on Monday 10th August. If you’re on a team that’s using or trying to adopt pair programming, this is a great chance to explore and understand some of the complex reasons why this is such a difficult skill to master.